A developer's plan to build hundreds of housing units on the recently purchased lakefront property behind Burlington College has attracted intense interest from city residents. Now, the developer, Eric Farrell, is agreeing to public scrutiny. Recognizing that the land is iconic, Farrell and the city announced an agreement today to take part in a "collaborative planning process" that will include public input and could change the development plan. As part of a memorandum of understanding signed Friday, Farrell will work with the city, the Vermont Land Trust and Champlain Housing Trust to arrive at a consensus about what should happen on the 28-acre property. The four entities will share the cost of a consultant who will run a design workshop. The agreement is nonbinding, meaning the city or Farrell can terminate the arrangement if they reach an impasse. Weinberger, who has taken some flak on the campaign trail for supporting housing on the property, said the process will give the greater community the "opportunity to have its voice heard." Not everyone is appeased. Andy Simon is part of a group called Save Open Space-Burlington, which formed in response to the sale of the property. Members want to preserve the entire 28 acres, and have been lobbying city council members and the mayor to hold a public process to discuss the land's future. Simon said he is "somewhat encouraged" by the mayor's announcement, but he's disappointed that the process hinges on the assumption that housing will be a part of the project. "It's developers talking to developers about how much housing we’ll have," he said. He also questioned whether community members will have real influence, adding, "It's got that fatal word 'input' in it. You know public input is not public power. It's just asking for your opinion about whether you like this option better than that option." 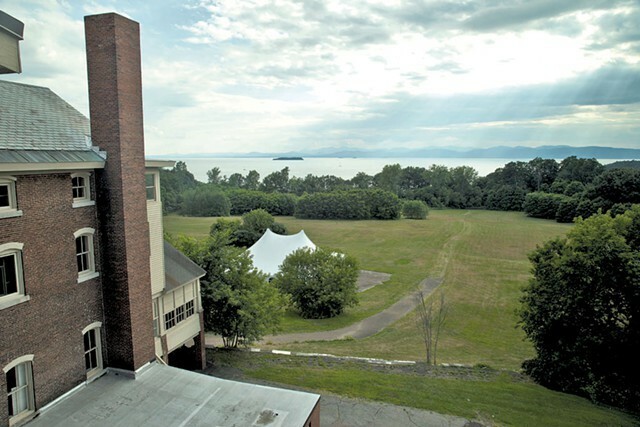 BC Community Housing, LLC (“BCCH”) is the owner of 27.65 acres of land recently purchased from Burlington College, located at 311 and 329 North Avenue, Burlington and situated between North Avenue and Lake Champlain (“the Property”). BCCH desires to engage with the following entities: the City of Burlington (“City”), the Vermont Land Trust (“VLT”), and the Champlain Housing Trust (“CHT”), (collectively, the “Interested Parties”), in a non-binding collaborative planning process for the purpose of exploring possible site designs for the Property. The Interested Parties and BCCH recognize that the Property is iconic and offers the community a unique opportunity to address the significant demand for additional housing within the City, while also responding to other important community needs in creative ways. The Interested Parties also recognize that any outcome of this process must take into consideration BCCH’s substantial investment in the Property and financial risk and allow BCCH to achieve its financial objectives, as determined by BCCH, in its sole discretion. The Interested Parties also recognize that while the City of Burlington may participate in the process outlined in this MOU, this process shall occur prior to the commencement of the formal regulatory approval process, and no participation by the City or term of this MOU shall bind the City in its role as regulatory authority (e.g., its Development Review Board) or require or authorize the City to act contrary to any constitutional or statutory obligation it may have. 8. The site plan should incorporate “sustainability” components, such as composting, stormwater management, food production, and energy savings where possible and appropriate. · The Consultant’s familiarizing itself with the Property’s physical characteristics, its history, the surrounding landscape context, applicable regulatory and permit constraints, and other relevant information. · The Consultant’s preparing for and conducting an intensive workshop in which the BCCH, the Interested Parties and other community members and experts, including real estate experts, are brought together to help envision one or more alternative site plans for the Property. · Opportunities for community input before the Interested Parties and BCCH reach agreement on a preferred site plan. BCCH and the Interested Parties may invite other participants whose knowledge or perspective could improve the process and design outcomes. 4) If appropriate, coordinate with the City Council to facilitate the approval of an agreement by the Council to any public funding or actions. If despite the good faith efforts of BCCH and the Interested Parties, it appears to either BCCH or the City that they have reached or will likely reach an impasse and/or are unlikely to reach agreement on a revised Plan to be submitted for regulatory approval, then this agreement may be unilaterally terminated by either BCCH or the City. Upon termination, the Interested Parties shall have no obligation under this agreement. BCCH and the Interested Parties will meet with the Consultant to develop a scope of services, timeline and design process details.